New Year is all about new beginning, new desires and new thoughts. All religions celebrate New Year as their own traditions and customs but the enthusiasm is same. Different religions believe that New Year mark the beginning of new life. It is said New Year gives a chance to leave behind the memories of the old year and regenerate by promising to lead a better life in the year ahead. New Year by Religions Different customs and traditions give special importance to the New Year celebrations. New Year falls almost every month as per different religions. Some celebrate it in spring while others celebrate it in autumn. The essence of New Year celebrations include merry making, feasting, praying and wishing for good luck and prosperity in the coming months. However, different religions have specific rituals as part of their tradition and custom to mark the occasion. This article will present you some different religions celebrate their New Year. The Hindu calendar has undergone several changes since the ancient times. It generally follows a lune-solar pattern. Hindu New Year is celebrated according to the Hindu Lunar Calendar- Panchanga. The popular name of the Hindu New Year is Vikram Samvat. In the Indian Calendar, seasons follow the sun, months follow the moon and days both sun and moon. A panchanga or panjika (almanac) is an integral part of calculating dates. As such, the beginning of the Hindu New Year falls on variant dates each year as per modern day calendar. Celebrations mark the triumph of the good over the evil. Lakshmi and Ganesh are typically worshiped as it is believed to bring luck and prosperity. People clean, decorate and light their homes, prepare sweets, buy new clothes, and visit family and friends to exchange gifts and greetings. Hindu New Year is celebrated with gaiety and pomp all over India. People light oil lamps and decorate the house with auspicious flowers those with the color like pink, red, purple or yellow. Rangoli design is also an attractive part of New Year decorations. Indians get up early in the morning, take bath and wear new clothes. They bring home deities of Goddess Laxmi (Goddess of wealth) and Lord Ganesha. Prayers are offered and prasad is distributed among the family members. At the time of New Year, gifts and sweets are exchanged with each other. People consider this festival to be an auspicious time to begin New Year. The 2019 Islamic New Year is symbolized with spring. The event symbolizes renewal or rebirth. So the New Year is observed by the Muslim Community on the first day of Muharrum. This day of New Year is celebrated by all Muslims throughout the world. The Islamic calendar is based on the moon and it is a lunar calendar. The New Year for the Muslim community starts by seeing the moon. As a part of the celebration people buy clothes, clean the house and cook the traditional dishes. They also offer Namaz on this auspicious day. New Year is the time for special prayers so that the coming year brings joy, good luck, good health and happiness. Islamic New Year 2012 starts in the evening of Wednesday, November 14th, and ends in the evening of Thursday, Nov 15. To mark the New Year people also go for a pilgrimage to Mecca in Saudi Arabia as a conventional ritual. 2019 Islamic New Year will be no exceptional and people will offer prayers for good luck this year too. One of the most important rituals during the Islamic New Year is that the women of the household gather the grains of wheat in a bucket and store it for the New Year time. By the time New Year arrives the grains develop stems in them. This gesture marks the New Year with birth and the incoming of spring. Several events are planned for the New Year at different places. Everyone gathers in cities and villages to watch the events during New Year. This time of the year is the time to meet friends and family. According to the Nanakshahi calendar, the Sikh (Nanakshahi) New Year begins with Chet 1 which is typically March 14th as per Gregorian calendar. Baisakhi Festival, also called Vaisakhi, holds great importance for the Sikh community and farmers of Punjab. Baisakhi falls on April 13rd or 14th, the first day of the year according to the Nanakshahi Calender. 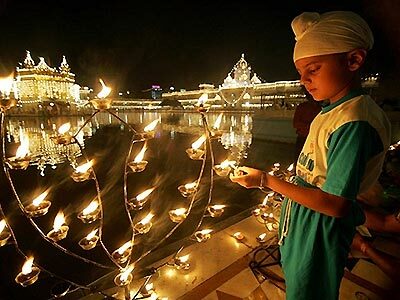 Celebrations include a worship service, kirtan (devotional songs), langar (sacred free vegetarian food service), parades, gatka (dancing with wooden swords), martial arts demonstrations, and fireworks displays. Traditional songs and dances boosts the spirit of the Baisakhi festival. After performing rituals in gurudwaras, people of Sikh community take out processions. The holy book of Sikhs is taken out in the processions. It is read in the holy book that the Sikh Guru asked five volunteers to sacrifice their lives, then he took each one of them into a tent and every time came out with a bloody sword but he actually sacrificed a goat. Thus, the procession is headed by five men to honor the Panj Pyaras. Fervor and vigor of the festival can be seen in these hours long processions passing through various localities of the city. Sikh men and women wearing gaudy clothes perform the famous bhangra and gidda dance. Christians celebrate New Year with devotion and gaiety on January 1st in accordance with the Gregorian calendar. The festivities begin a day before on the New Year’s Eve as friends and family gather to welcome the New Year as the clock strikes midnight. Devoted Christians begin the New Years Day early with church services. Choirs sing traditional New Year songs. Fun and festivity that began the day before continues as people attend parties, balls and family gather together. One tradition of the season is the making of New Year’s resolutions. Many people keep New Year resolutions in the coming year. They even pledge to get their desires fulfilled. Modern New Year resolutions are the promise to lose weight or quit smoking and many more. Another famous tradition of New Year Parades is attended with excitement by people of all age groups. These parades are preceded by the football game which is the main attraction of the festival. New Year ushers in the festive spirit. People splurge in the New Year activities with fun and excitement. 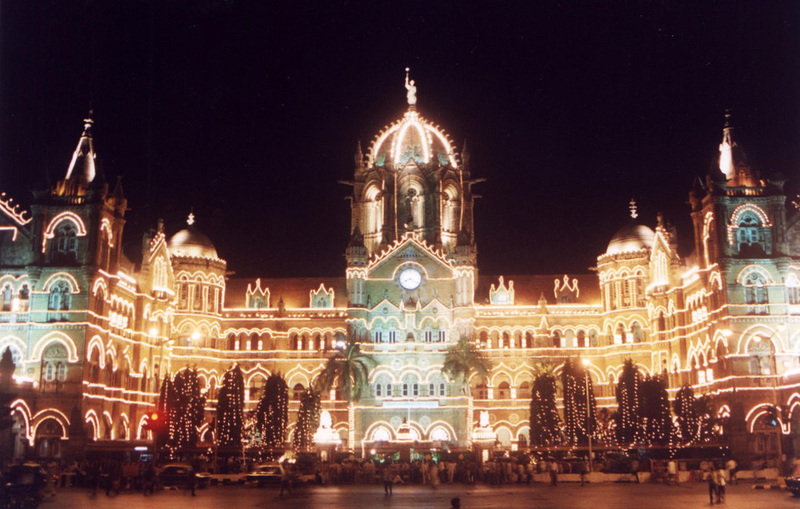 New Year brings in happiness and so people make it a grand affair to welcome the coming year. New Year celebrations begin with the New Year Eve. Christians attend balls, theme and private parties to celebrate the New Year. Party halls are booked in advance and there is rarely any place which is not hit by the partners. Festive music and songs rock the New Year parties. People dress up in their best clothes to celebrate the New Year. At the stroke of 12 at midnight, people make a lot of noise, hug, kiss and wish each other “Happy New Year”. New Year occurs on different days in different countries following Buddhism. New Year in Theravadin countries, Thailand, Burma, Sri Lanka, Cambodia and Lao is celebrated for three days from the first full moon day in April. In Mahayan countries, New Year celebrations starts on the first full moon day in January. These countries celebrate the day according to their ethnic background and culture. People of China, Korea and Vietnam celebrate it in the month of January or early February while Tibetans usually celebrate a month later. Buddhist New Year New Year is the time to hope best from the coming year. People reflect upon their past and rectify all their mistakes. It is observed with same spirit and gaiety in most of the countries. Buddhist New Year celebration is dominated by regional customs and culture. Some countries have a day-long celebration, while others prolong it to multiple days. However, there are some common traditions. The most common of them is the spirit of happiness, merriment and splendor. 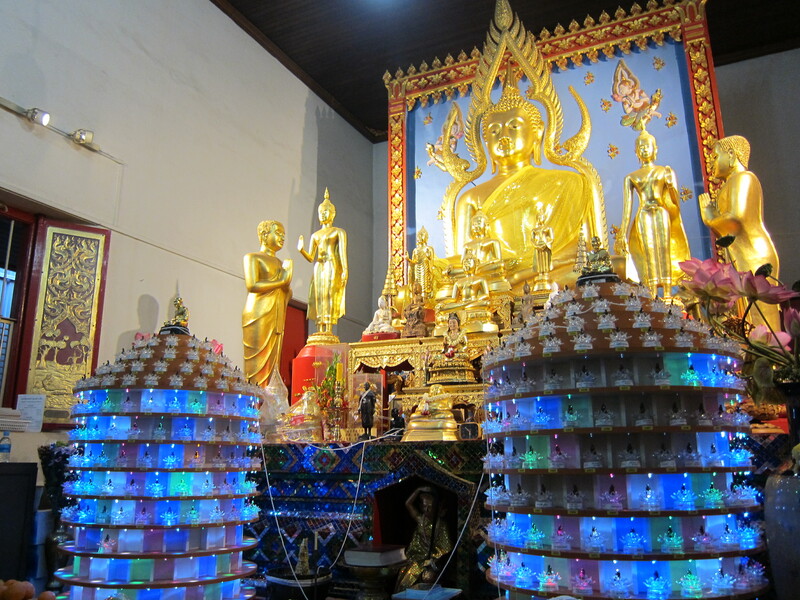 The Buddhists visit monasteries, bath Buddha statues, light up candles and pray before Lord Buddha and other mighty deities. Food is offered to monks. Devotional songs are sung praising the Buddha and other deities. People wash the feet of their parents as a symbol of respect and reverence. 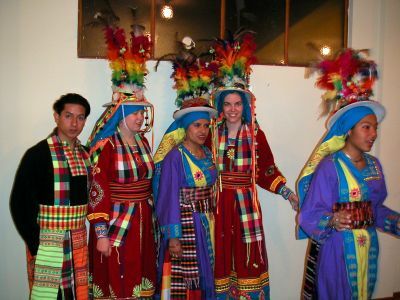 The Bahais observe their New Year on the day of Vernal Equinox, generally on March 21st every year. They follow a unique calendar of their own known as Badi calendar that has nineteen months each with nineteen days. This solar calendar also has provisions for an extra period of four days in a regular year, and five in case of a Leap Year, summing up to 365 or 366 days. The New Year commences from the Vernal Equinox. The Bahais believe that a day start at sunset. As such, their New Year celebrations begin from the evening of March 20th. New clothes and a huge spread of food mark their New Year. People also believe that throwing sprouted lentils in the running river water would supposedly carry away all the bad luck with it. People dress up in new clothes. People meet their relatives and friends and exchange New Year gift and greetings with each other. People also throw their sprouted lentils in the running river water. It is supposed to carry away all the bad luck with it. 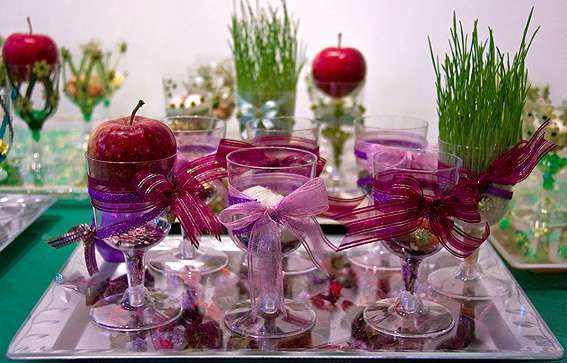 The dining table is decorated with symbolic food items like fruits, colored eggs, cakes, a holy book and a mirror. People eat special Naw Ruz dishes like Sabzi Polo Mahi which is rice with green herbs served with fish, Reshteh Polo (rice cooked with noodles) and Dolme Barg (meat cooked with cotyledon and some vegetables in vine leaf). The special Naw Ruz food is symbolic in some or other way. It helps to bring happiness and success in one’s life. For more than thousand years, the Jewish have celebrated their New Year on the month of Tishri, which fall in September or October according to the modern day calendar. Jewish New Year is a high spirited socio-religious celebration that lasts for ten days. This period is known as Shabbat Shuva. It begins with Rosh Hashanah that commemorates the first two days of the festivity and ends with Yom Kippur on the tenth day. Family and friends get together to pray before lit candles, take holy bath, recite Kiddush prayers, give charity, partake in festive meal, and wish each other health, wealth, happiness and longevity. A unique feature of Jewish New Year celebration is blowing of Shofar (made of ram’s horn) symbolizing repentance for past sins. According to Jewish belief, God seals the fate of Man on the New Year’s Day. Those who have repented for their sins are blessed with a happy New Year. According to the Hebrew calendar, Jewish New Year 2019 will fall on the first two days in the seventh month. The date of the festival varies every year, since the Jewish follow a lune-solar calendar. It is said that the first ten days of the month are the holiest, when they observe New Year. 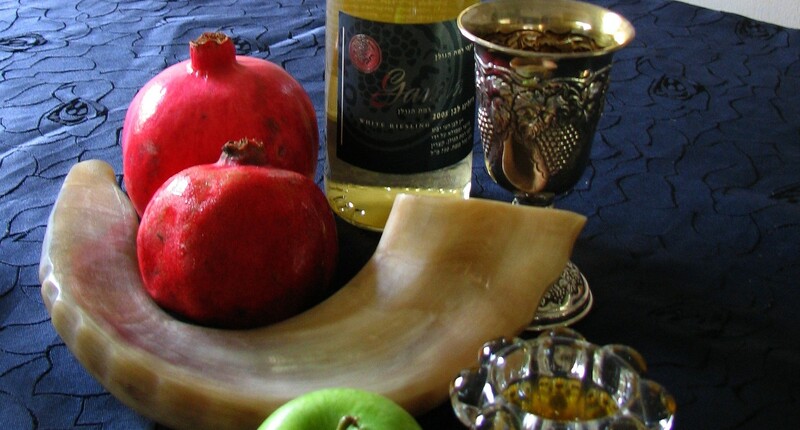 Jewish New Year 2019 will be observed on September 28. 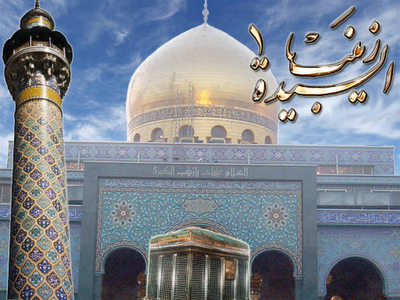 According to the customs, the people are given 10 days for atonement. After 10 days, they are asked the day of atonement or Yom Kippur comes and the Jewish people are asked to apologize for their misdeeds. They try to replenish for all their bad deeds by doing some good actions. They dream and pray for a better life and think of the ways, which can lead them to their dream life. According to the popular believe, if one is sincere about his prayers, the God will write nothing but good for him in the holy book. Spring Equinox (March 21st) is celebrated as Nawruz or New Year by the Zoroastrians since it is the first day of the Zoroastrian Khorshidi (solar) year. The celebrations can be classified under four heads – Renewal – Nawruz marks the end of a nineteen day fasting period. Just as Spring marks blooming of new life in flora, Nawruz is believed to lead to renewal of spirit, of relationships, etc. Families gather together and wait patiently as the Spring Equinox is announced on radios and television. Spring Cleaning – Every home is given a fresh new life with a thorough cleaning and airing. This is termed as Khaneh-Tekani. Every member of the household coordinates to prepare the house for Nawruz. Seeds of sprouts are sown in earthenware such that they show signs of growth by time of Nawruz. Feasting and Nawruz Table – No Nawruz celebration is complete unless family and friends gather around the Nawruz table in their best clothes for feasting. The Nawruz table is covered in white signifying purity. On it is laid the sacred book, a picture of Zarathushtra, mirror, candles, incense burner, bowl of water with live gold fish, the vessels containing the sprouts sown during spring cleaning, etc. The most important part of the table layout are the seven objects whose name begins with the letter “S” (seen) or “SH” (sheen). Gifts – Elders give gifts to younger ones with their blessings. To sum up, different religions believe and follow their own way of celebrating New Year. Jewish New Year celebrations begin on sundown of the first day of September or October and ends on sundown of the 10th day. While Gregorian or Christian New Year celebrations begin with parties, carnivals, dinners and ends with family visits. Hindus celebrate New Year almost every month because of diversity in culture. New Year is celebrated with lot of jollity and vigor across India. The way of celebrating New Year is a little different in Celtic religion. They welcome their ancestors and offer them food and drinks. The Muslims celebrate the day in remembrance of Prophet Muhammad’s flight from Mecca to Medina. Bahai New Year begins at the sunset rather than midnight. In contrast to this, Buddhist New Year is celebrated in January (Mahayan countries) and April (in other Buddhist countries). Although people follow different religions, they believe that new year gives them a chance to leave their sadness and sorrow of the old year and begin a promising new year ahead.